Firefighters responded to reports of a brush fire on Pico Canyon Road in Stevenson Ranch early Monday afternoon. 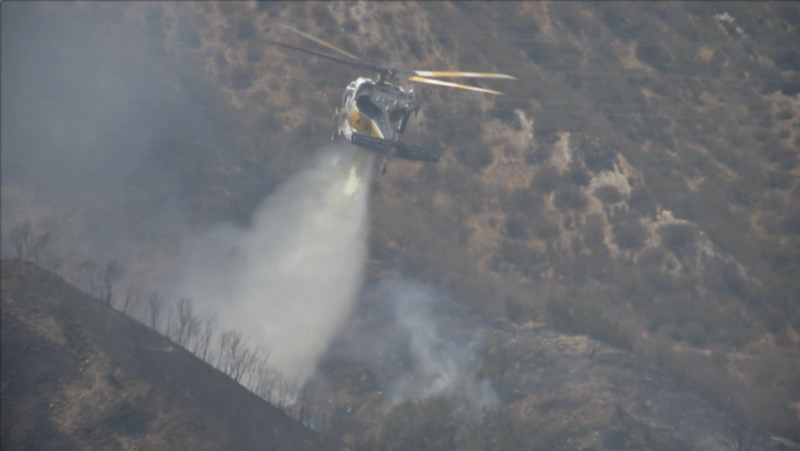 Forward progress of the Pico Fire in Stevenson Ranch has been stopped at 90 acres, with 35 percent containment as of 2:49 p.m., according to county fire officials. Fire Department Units will remain on scene throughout the night, increasing containment lines and extinguishing hot spots.